- NORWEGIAN INTEREST. SYVER OG TOSTER tekst av Lillian Wildenvey Sonning. Oslo: Grondahl no date. Obl. folio, cl. backed pict. bds, VG+. The adventures of 4 little children in the forest with gnomes and others. 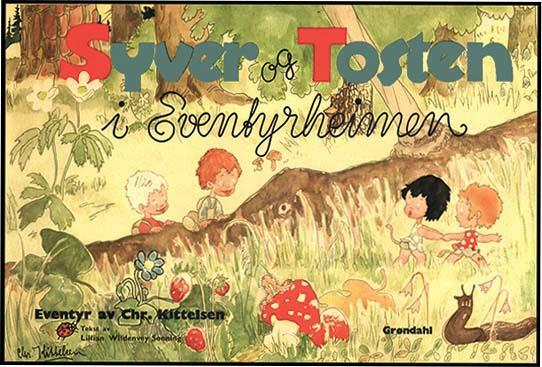 WOnderfully illustrated with full page color illustrations opposite each page of text by CHR. KITTELSEN.